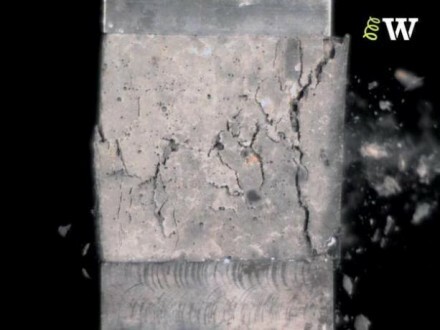 Video showing the behaviour of a concrete cube in compression. 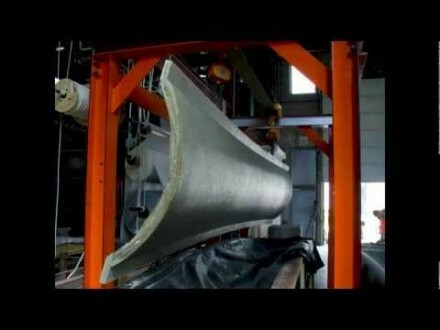 This fascinating video shows the method of fabric formed concrete. 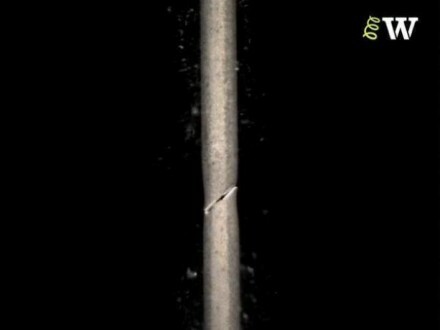 Video showing tensile failure of a mild steel reinforcing bar. 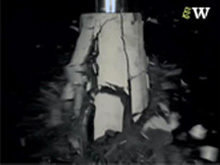 Video showing the behaviour of a reinforced concrete column in compression. 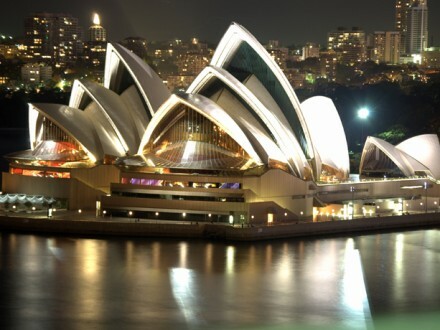 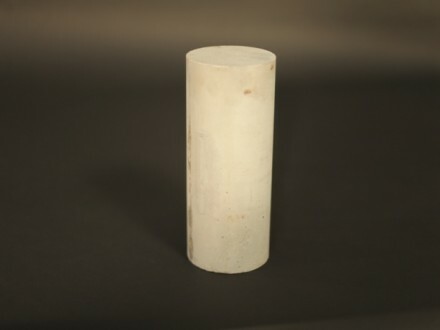 Such columns are one of the most common structural elements used in concrete construction. 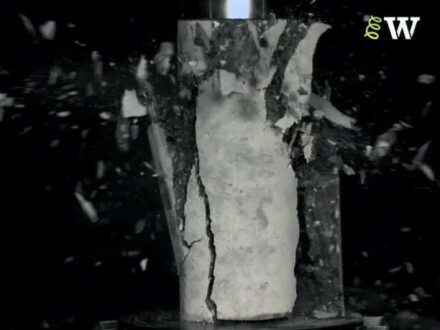 This video shows the behaviour of a high-strength concrete cylinder in compression. 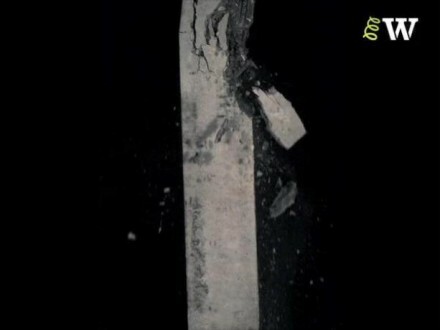 This video shows a high-strength grout cylinder being compressed to its rather spectacular failure point.